Earlier topic: Help!Which letterpress suits? 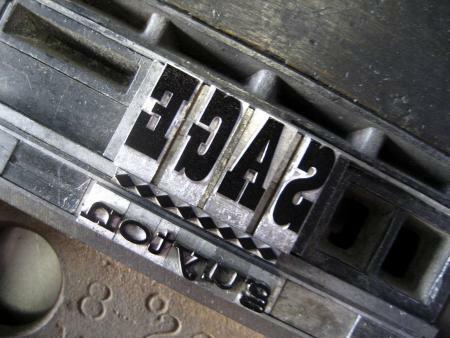 I am new to letterpress and found this image on the web with no details as to where these were purchased. 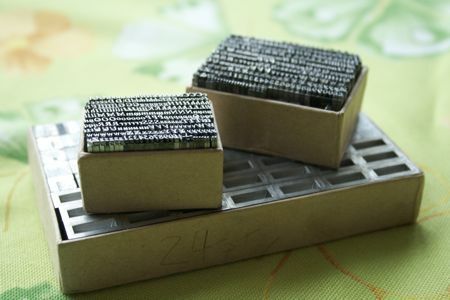 I am also attaching another photo that was also found on the web which has a chase in it that has type set with what I think are all metal spacers? I am not as concerned about the type but below is a box of spacers that look new - where would you purchase something like this. I am also a little confused about the difference between spacers and furniture. Is there somewhere that I can see photos of these different items? Is there somewhere that there is a chart of the standard sizes still available? I have seen in posts people being directed to NA Graphics but I cant find furniture on that site and most of their items dont even have images which makes it really difficult for a beginner. That is why I am asking for photos. I cant find the glossary here either that is supposed to have photos of printing items. I did find the museum where there are photos of the presses - which is very helpful. Do you all prefer metal or wood? I keep seeing people on the list saying wood is bad because it warps so should metal ones be purchased? Any direction would be helpful. Thank you! Be sure to ask Terry Plummer about furniture. He just might sell some to you. He has cleaned out a lot of print shops and my guess is that he has several lifetimes supply of that stuff unless he has already dumped it over the years. Yes, metal is best. I have been in letterpress all my life. What is so complicated? I can help you with all your questions. Rick - great idea - I will ask him tomorrow! Sal - I am sorry for being so ignorant. I did receive my copy of the Practice of Printing yesterday in the mail and it was very helpful in explaining the differences in spacing material for me and now I completely understand the differences. Racer - I am definitely in need of some furniture but I am going to talk to someone local tomorrow first in case I can save myself on shipping. If he is unable to help me - I will give you a call tomorrow.